Now some of the placements in the diagram above are a little strange. The R.S. Power Reactor is listed below the Micro-Electronic Brain, but doesn’t point at anything in particular. Below that the “3 Slots” points at the ear, but actually refers to the rectangular holes along the base in the back of Rockman’s helmet. The Weapon information points the the chest where normally the R.S. Power Reactor is indicated in other sources, as we’ll see below. At the bottom, Doctor Right Numbers Number 001? A little redundant, but sure. 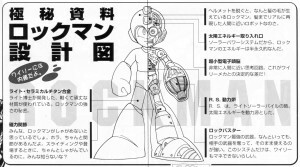 The next image below was taken from the Rockman Kai Special Booklet, perhaps an only slightly earlier draft than above. The artwork is extremely similar if not the same, but there are slight differences in the part labels that point towards the above display being slightly erroneous. 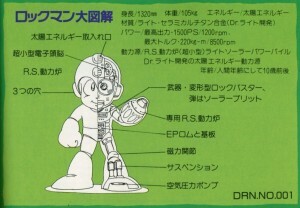 Rockman resembling an anatomical model like you’d find in a science lab. 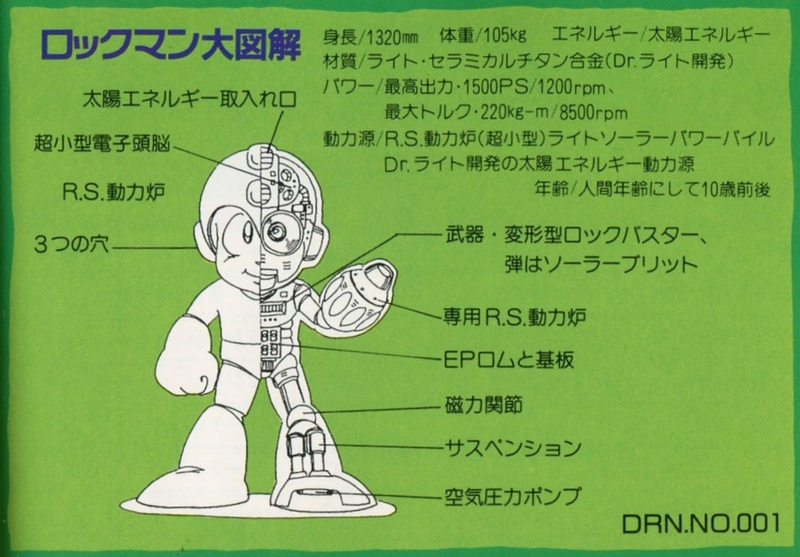 There’s a lot of rarely divulged little establishment details drawn out here, like those parts on Rockman’s head actually being solar energy intake panels. I wonder what the meaning of stressing the word “joints” there was. 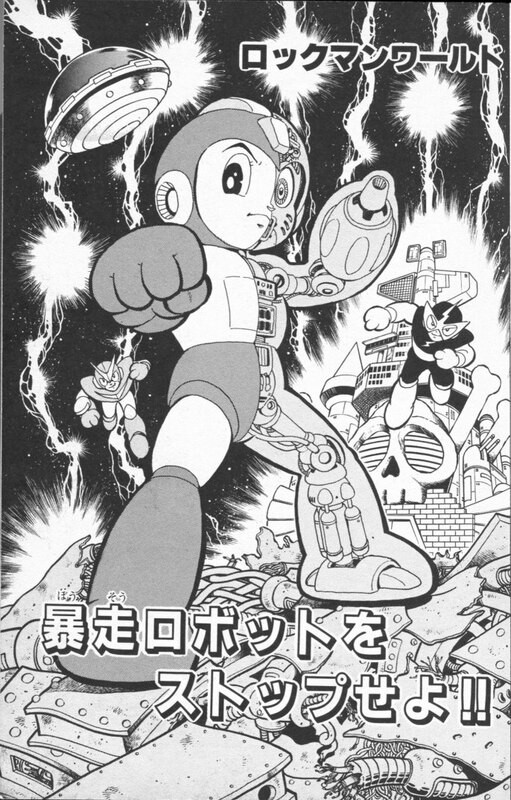 Maybe it implies some connection to Rockman’s superhuman action moves…? The R.S. 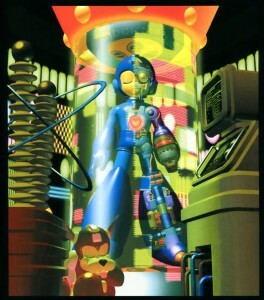 Power Reactor in that image points towards the chest, while the Weapon (Rockbuster) and Dedicated R.S. Power Reactor point at the buster (and no “Solar Bullet” mention). No mention of the 3 Slots, which can’t be seen in the picture anyway. The word “Joints” (Kansetsu) is written out in kana instead of kanji and has stress marks over each syllable, which is what the passage referred to. The pump in his boots is labelled slightly differently (asshuku “compressor” instead of atsuryoku “pressure”), with “Compressor” being the more common term overall, but the actual difference between these two is negligible in my mind. The art looks to be the same between the last two, and very close to what appeared in the game Rockman World whenever a new weapon was obtained. 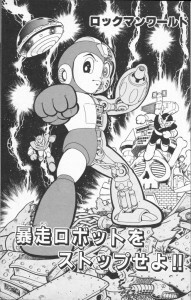 One of Ikehara’s later manga titles also drew upon Rockman’s inner skeleton for inspiration, though this one is much more Astroboy-styled than Rockman-styled. The artwork appears to be cleaned up a bit in the Rockman & Rockman X Daizukan, with straighter lines and shading and some expanded explanations of a few items, while others are simplified. I scanned this a long time back, but here’s a fresh, improved scan for you! Rockman, the household robot developed by Doctor Right who was remodeled into a super fighting mecha! The Rockbuster fires an energy shot made of compressed solar energy (a Solar Bullet). A solar energy power generator designed by Doctor Right. While jumping, air is jettisoned from an opening at the bottom of the foot, allowing the exhausted air pressure to assist the jump. 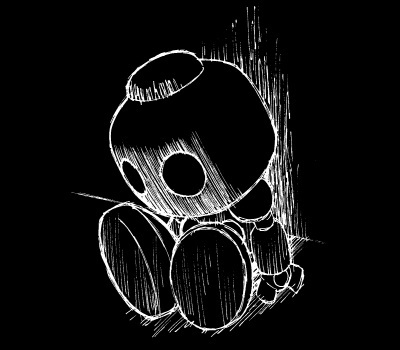 Must be kept confidential from Wily! This lightweight but sturdy material was developed for use by Dr. Right. It is the secret to Rockman’s strength. People always seem to think Rockman can’t crouch for some reason. But look, he’s got the articulation right there! How could he slide and move like that if he couldn’t crouch–sliding practically is crouching! Doesn’t everyone realize that? 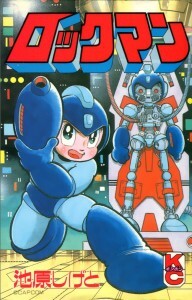 Take the helmet off and see, Rockman’s got hair growing out underneath. Details like having realistic hair brings this robot ever closer to human in appearance. Because of his solar power system, Rockman’s energy is semi-permanent. Exceedingly human-like cognitive circuits. 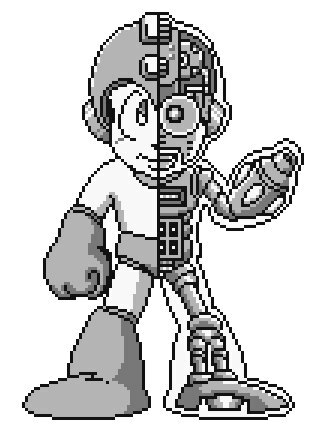 This decisive difference really separates him from your average Wily mecha! R.S. stands for Right Solar pile. It’s a solar energy power generator. Rockman’s strongest weapon. The ability to swipe an enemy’s weapon and use it as your own is some power, without a doubt! Even Wily hasn’t able to completely imitate this system, at least so far. 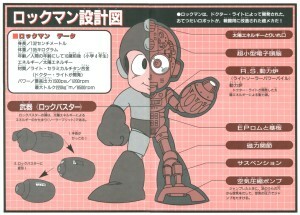 Around the same time as this one was made, there was another Rockman schematic done in CGI. 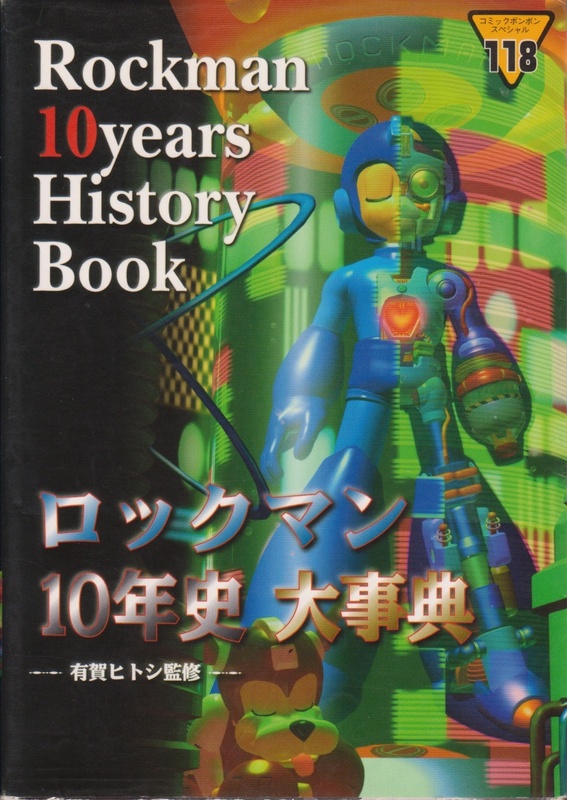 It would be used as the cover for the Rockman 10 Years History Book, and go on to be featured in the title screens for the Playstation re-releases of Rockman 1-3. 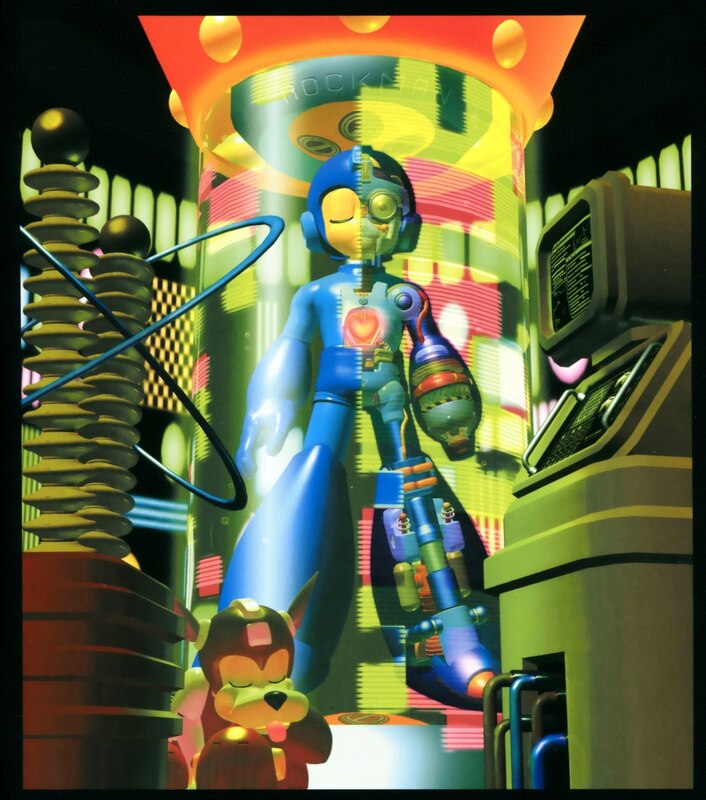 Below is a clear view from the Rockman 20th Anniversary Art Files. Seems like this one did it’s own thing quite a bit, rather than trying to recycle too many design elements from the other two. It’s kind of a cliche, but I like the little heart design in the power generator. Actually, the touch I’ve always liked most here was of Rush sleeping on the floor. Mega-dog, you are too cute. That’s it for now. You can point out your favorite diagram version in the comments, if you feel so inclined. 11 Comments to "Rockman Schemata"
I guess I prefer the Power Fighters version of his schematics? Hah, same here! But yeah, it’s “Right Solar” if memory serves. Well heck I’d hope you remember, I probably mentioned it 3 times up there. Ruby Spears Power Reactor: Runs out of energy whenever the plot deems it necessary! Fascinating. I love how the various creative teams spend so much time defining terms and functions for internal components that are pretty much never referenced anywhere in the games themselves. That’s how you build a strong series canon that allows new people to enter the team without contradicting anything now or later! 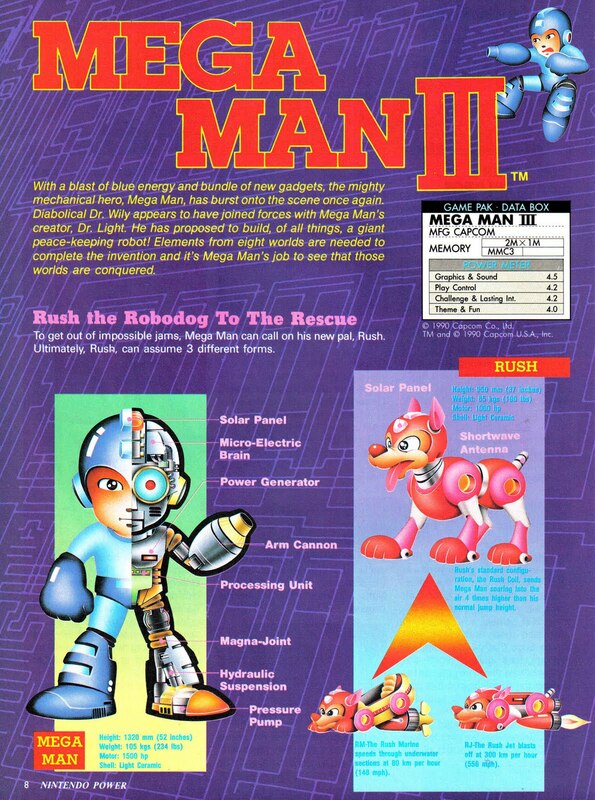 Theres also a breif showing of MegaMans skeleton in the intro of the RS TV Series. It doesnt count as schematics,I know,but its cool. And there is the one in the Ruby-Spears opening. There’s an interesting story to that picture! I really should post about that… you know, someday. Strange considering that Bass appeared in the same game and its prequel with the same ability, and later in MM10. 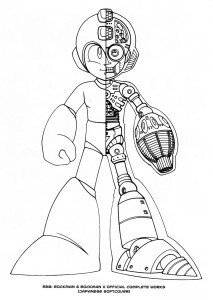 But as Bass was made accidentally (at least his power source, Bassnium), and Zero learns skills instead of obtaining weapons (except Dark Hold for some reason), does that mean Wily really never managed to truly copy it except for this “accident”? Yet, it says that he “hasn’t able to ‘completely’ imitate this system”. So Bass may have some crude, weaker or flawed version of this system, but his other systems and Bassnium compensate the flaws enough for it to be functional and rival Mega Man’s version? They do acquire different weapons in R&F2 (WS). But there is also the possibility that Light may have given this ability to Bass (and Duo) at some point, as Bass didn’t display this on early appearances (although he didn’t defeat a boss, being ‘beaten’ by Shade Man). 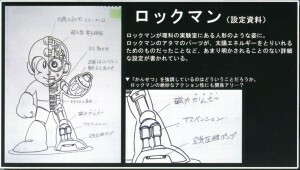 This would reduce the chances of Wily being the responsible for granting this ability to Bass, unless a Mega Buster was stolen from Light’s lab and modified into the Bass Buster without changing what makes the weapon copy functional. 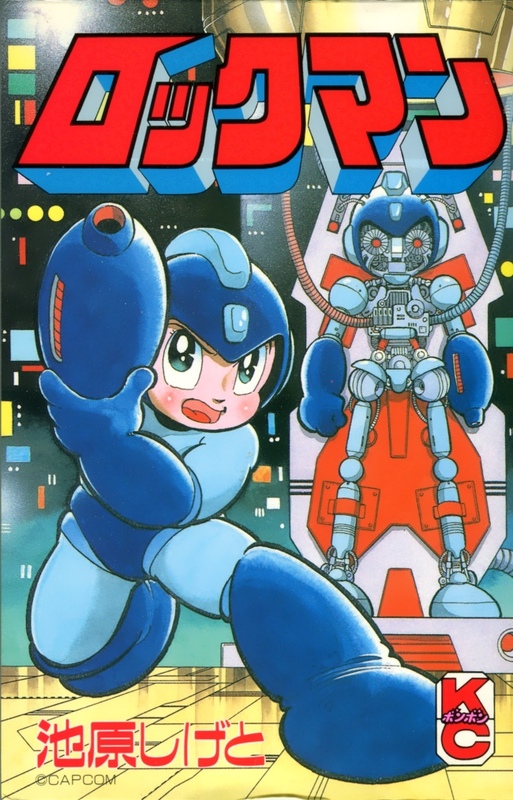 Worth noting, although not the ability to copy weapons per see, Copy Robot and other robots (Doc Robot, MMPU Wily Machine 1, …) are able to use different weapons, those were likely installed on them from the beginning. And Copy is a copy with everything Mega Man had at the moment, this text suggesting he would be unable to copy weapons like the original (and his Megamix version) if he defeated other robot.